Urban Prepper Chick - Learn as I Go: How to Make your own Yeast! WHY?? In my Crabbing and Fishing post I said I would post how to make moonshine. Well, the issue is in my posts I try to look at things as if my stock pile is not there. (I am a never count your chickens person) And being a city person, I know a move may have to happen. 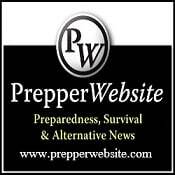 Self Reliance with or with out shtf situation is not a bad thing.
.(side note, American Indians made their flour out of acorns. They use to collect them and store them so they would have it all winter (roast and grind method to possess). Now I can type out a how to make it but sometimes a video is needed so you can see the things you are looking for! 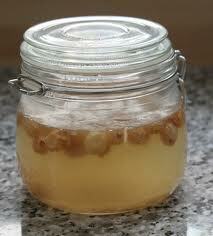 HOW TO MAKE NATURAL YEAST! Now how simple is that? Water in a jar with berry's let it sit and strain! Mix with flour! and you have a yeast! But remember it isn't always that easy, you might have to go through several mixtures before you finally get something. There are other methods but this one is one you can do with what you find. Now you can make moonshine :) That's the next blog, but for now...... Song for this post...hmmm every yeast song was not about this kind of yeast soooo I am going with a berry song.